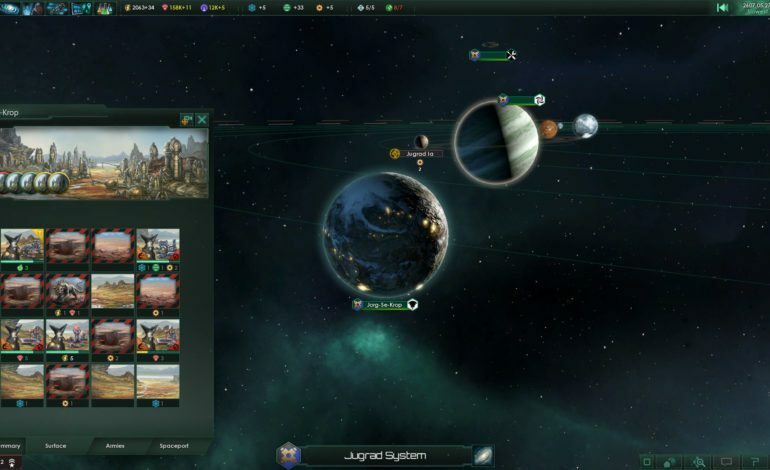 Stellaris, the space-faring 4X game by Paradox Interactive, is getting a new expansion pack. Titled MegaCorp, the new expansion pack gives players the ability to create and become the CEO of a galaxy-wide corporation. The main feature of MegaCorp, as many can guess, is the ability to create a new government type run by a massive corporation. The MegaCorp government type has a whole new variety of civics to help them engage in business on a galaxy-wide scale. CEOs will have the ability to set up Branch Offices on the planets of empires they have trade agreements with. This allows the CEO to present solutions to population problems on the planet and add a portion of the planet’s Trade Value to their own income. Of course, no government-controlling MegaCorp is complete without some ethically dubious means of making money and recruiting workers. MegaCorps will have the ability to buy and sell populations on an industrial scale. You can “keep them as livestock” or do the right thing and free them, but what sort of billionaire company would do that when you could make money off of them? Also on the horizon are changes to existing features. With something called ‘Ecumenopolis,’ players will be able to boost the population density of their worlds to epic proportions, leading all the way up to making a city that spans an entire planet. There are also new megastructures (first introduced in Utopia) on the way, such as the Matter Decompressor, a Mega-Art Installation, or a Strategic Coordination Center. Finally, there are references to new encounters, such as drifting corporate trader fleets, and additional Ascension perks. Stellaris: MegaCorp, available here, currently has no set release date, but it can be pre-ordered from Paradox’s main website for $19.99. The new expansion pack’s release will also coincide with a free update that changes and balances out the main game.